Show Your Support for Older Adults – Join MCSSN! Join MCSSN to become part of a dynamic community of care givers, providers and organizations whose concerns for older adults help offer quality of life choices. Visit our monthly meetings, 8:00 a.m. on the second Wednesday of each month, hosted by a different facility each time. We require visitors who attend more than three meetings in one year to join – and it is well worth it! Up to two active members in your organization earn a say in helping develop senior solutions. The membership year is January through December, with dues payable October-December of the preceding year. After three visits in a calendar year, dues are required in order to continue attending meetings. 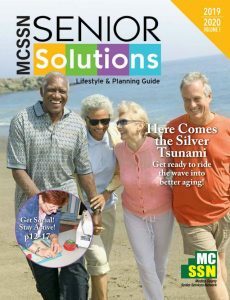 Dues must be received by or before January 31 in order to enjoy the MCSSN Senior Solutions guide free listing.